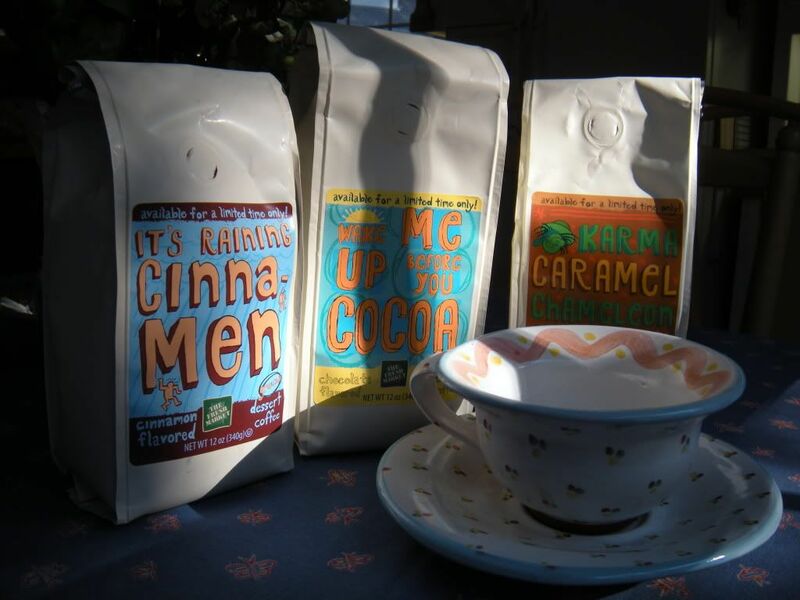 The Sketchy Reader: Delicious Coffees for Eighties Girls! I love shopping at The Fresh Market. I especially enjoy their coffee department. Check out the names of the dessert coffees: they make me smile! These coffees are delicious, and I do not mind having Boy George or George Michael singing in my head all day long (well maybe a little). My favorite is "Wake Me Up Before You Cocoa." The only one I have not tried is "White Chocolate Raspberry Beret" because I do not care for white chocolate. Which one would you like to try? It's time for my daily caffeine fix before I begin painting.